Saint Sophia Cathedral and Pacifica Institute collaborated for the exhibit of Greek Architects in Istanbul in the Era of Westernization. The Cathedral will be hosting this fantastic exhibit from the 2nd of June to the 30th. The exhibit presents 104 different buildings, photos of window details, entrance doors, drawings, personages, and 57 architects whose names have been detected in various references but also on marble inscriptions on the buildings themselves. The purpose of this exhibition is to present photographs of buildings that have survived in good condition. 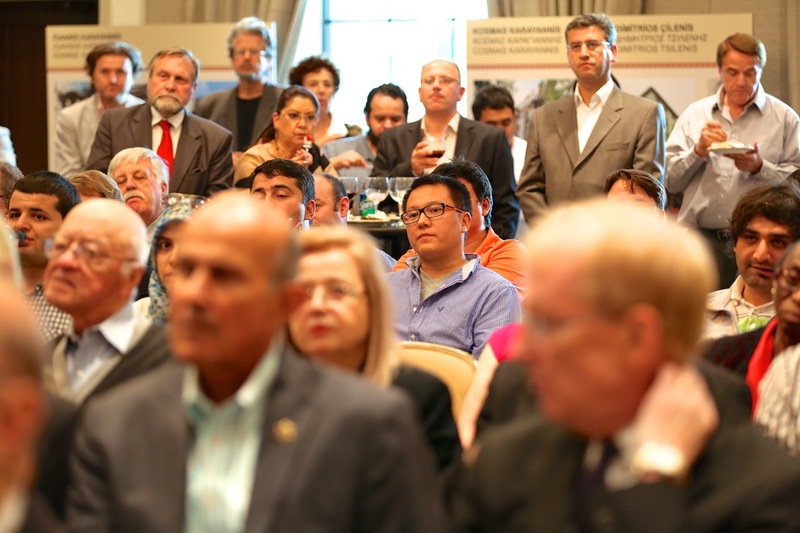 The opening of the exhibit started with the reception where culinary examples of Greek cuisine was presented to the guests. Then Father John Bakas welcomed the guests to Saint Sophia Cathedral and the exhibit that will run till the end of the month of June. 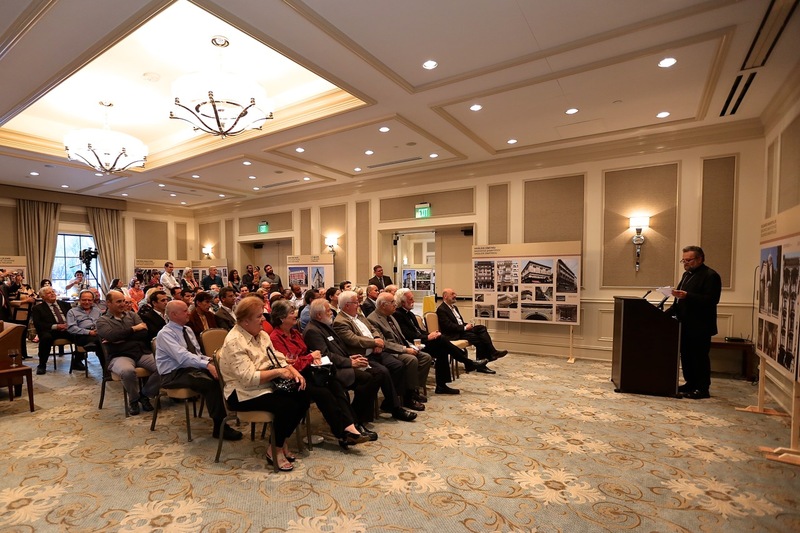 Displayed in the main hall and the neighboring galleria, the exhibit is a collective effort that started in March 2008 with the aim to highlight the imprint of Greek Orthodox community on the built environment of Istanbul since the mid-19th century. The work of Greek architects is still noticeable in contemporary Istanbul. 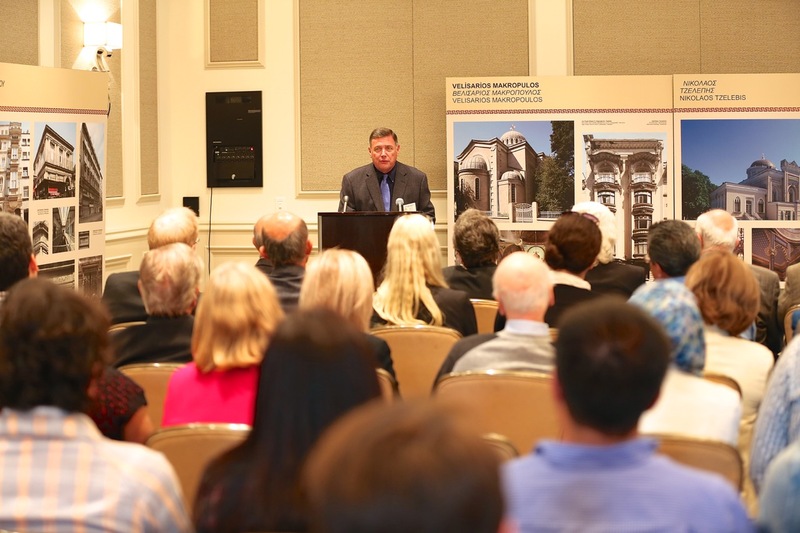 In his welcoming speech, Father Bakas highlighted the beautiful Greek structures in Istanbul and the first of its kind joint in the US, collaboration between the Greek and the Turkish community. Near the end of his speech, Father Bakas sang a Greek song called ‘Yorgo and Mehmet”. Then came Father Alexei Smith who mentioned how much the community in Los Angeles is intertwined with each other. Last speaker was Los Angeles County Sheriff Leroy Baca- Retired who emphasized the best way to keep the memory of a people is through architecture. This exhibit, Sheriff Baca went on, is the proof and testimony of so many exquisite craftsmanship of the Greek kalfas and architects in Istanbul. The opening of the exhibit came to an end with Father Bakas leading the tour of the inside of St Sophia Cathedral.